Get ready to sharpen your coloring pencils and color the Dragon Ball Z coloring printout however you like. Coloring helps children develop a good finger grip and motor skills, this will improve their handwriting in the future. Print a fun coloring book to help them with their skills. 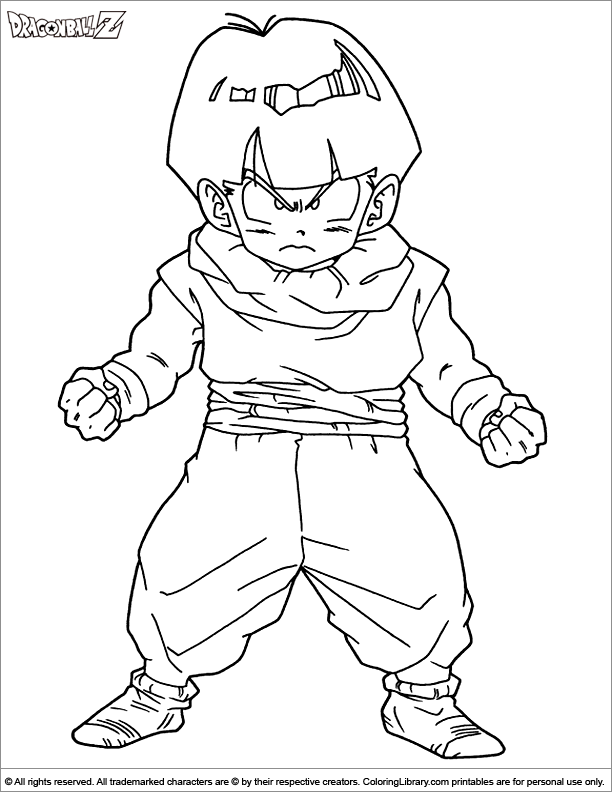 Are you looking for Dragon Ball Z coloring pages? Coloring Library selected this Dragon Ball Z coloring printout and many others especially for you!